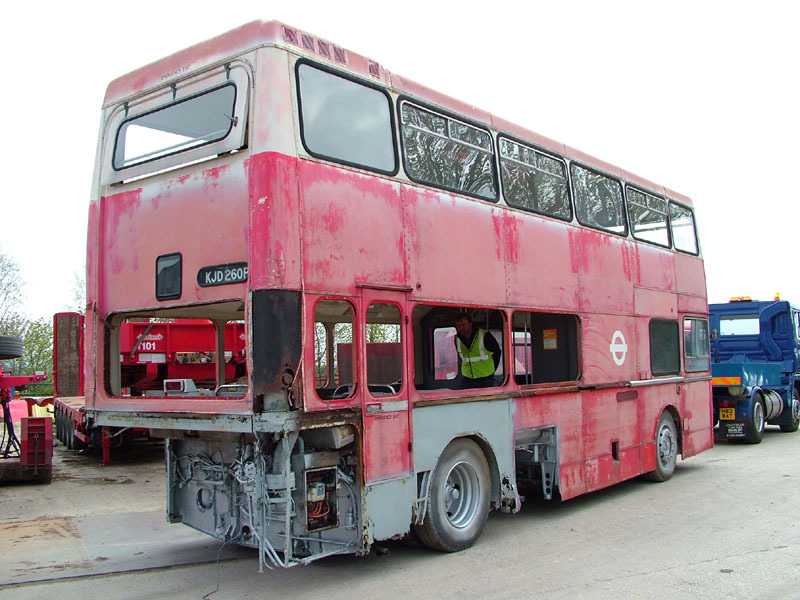 BusWorks Blog: London MD60 returns from shotblasting - at last! London MD60 returns from shotblasting - at last! Few of the once 164 strong batch of Scania Metropolitans survive - largely because they rotted away whilst in service! MD60 was new in 1976 but by 1982 it was in store and withdrawn and sold during 1983. Luckily it was acquired for preservation but the vehicle was still in 'as withdrawn' condition when it arrived at the BusWorks in November 2008. The engine and gearbox was removed in 2009 and the lower deck interior stripped before the bus was sent away for shotblasting and chassis attention. Unfortunately, this has been a prolonged process but MD60 returned to the BusWorks today. Although much of the chassis is now in 'as new' condition, the hard work really begins now. The all-steel framework, poorly treated against corrosion when built, is in very poor condition which was the reason these buses had such a short operational life in London.